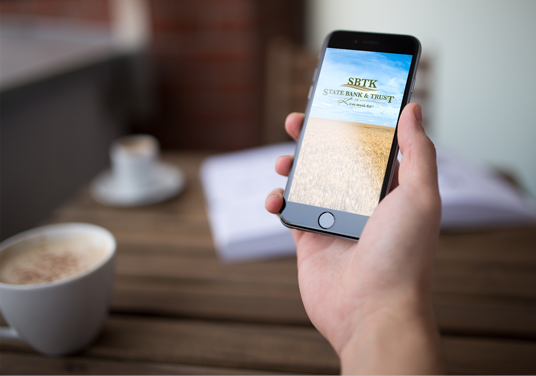 After working with First National Bank & Trust one of their sister banks, State Bank & Trust of Kenmare, contacted us about creating graphics for their mobile app as well. 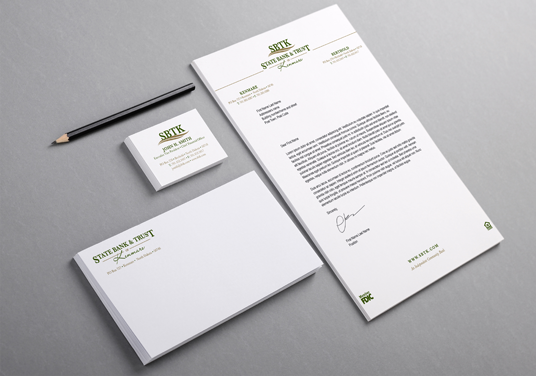 While we were at it we decided to create a corporate identity for them which they had never had before. We went with a simple, letterform logo to showcase the banks abbreviated namesake and used earth tone colors and images of wheat fields to complement the bank's banks ties to North Dakota and the ag community.